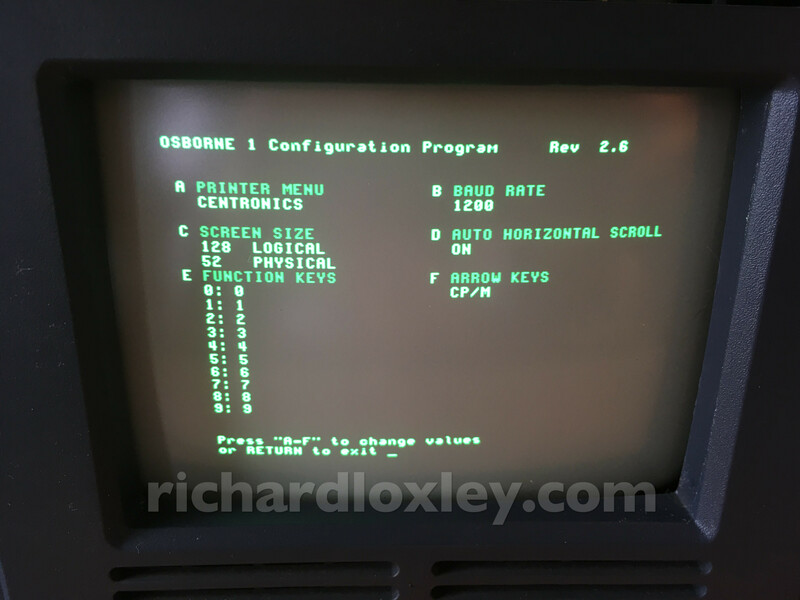 Having got one of my Osbornes working correctly, the next challenge is to get software installed on it. I now have the originally-supplied set of disks containing business software, but as it is a CPM machine, there are countless other programs available (and archived online). Some of the downloads are disk images. Some are actual files (e.g. 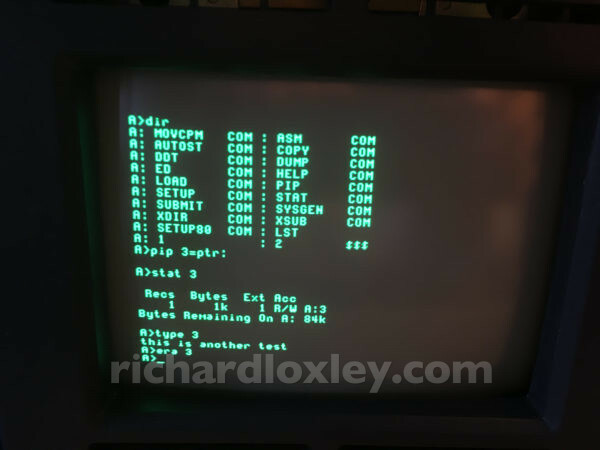 BASIC .bas files or CPM binary .com files). 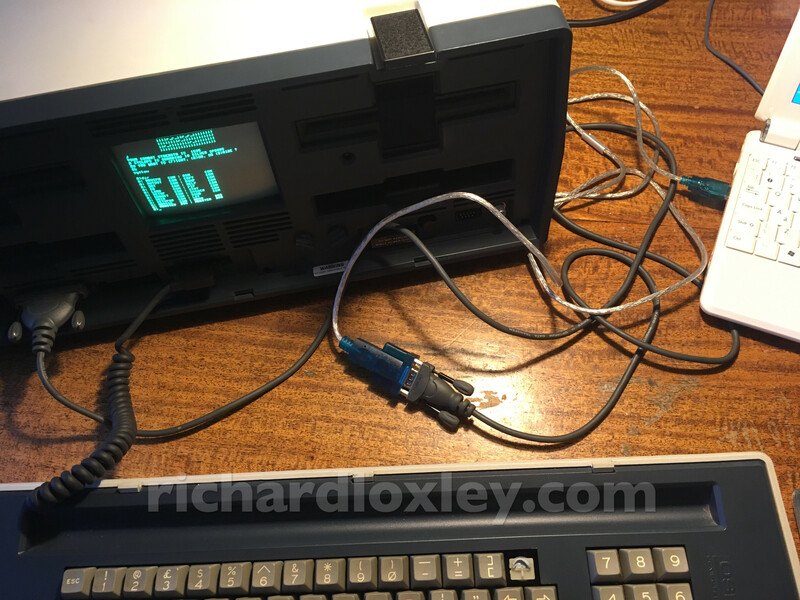 The possible ways I have for transferring files are using a USB floppy emulator connected directly to the internal floppy port, or by using an RS232 interface lead on the outside. I found a possible solution to the difference between whole disk images and individual files. The cpmtools package (GitHub link) can read and write individual files within a CPM disk image, provided it is configured with the disk geometry used by a particular computer. 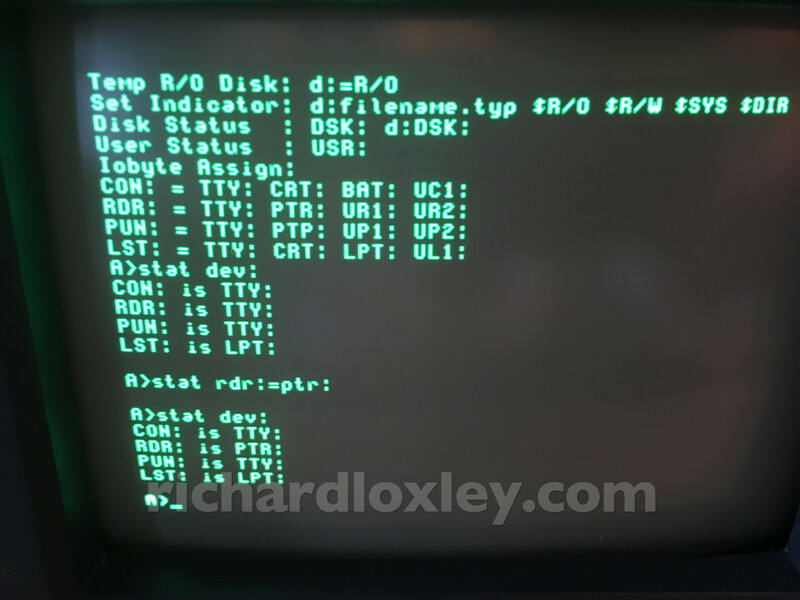 (The version on GitHub seems to have both SSSD and SSDD settings for the Osborne so it should work.) I haven’t yet tried it, but I plan to. I found a guide to setting it up which might come in useful later. So probably the best solution for me is to open up the machine once more, do a bulk transfer of all the disk images I’m interested in to real floppies, and then I’m set with most of what I’ll need. I can then use RS232 transfer for occasional additions in the future. 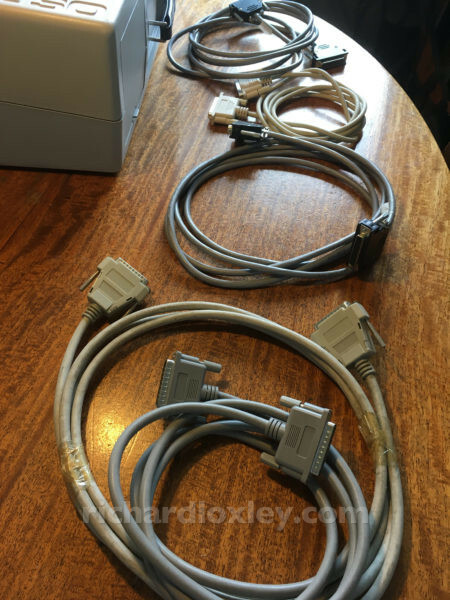 I found two discussions/guides to RS232 on the Osborne here: vcfed and toniwestbrook. They imply I need a straight-through (modem) RS232 lead, not a null-modem. 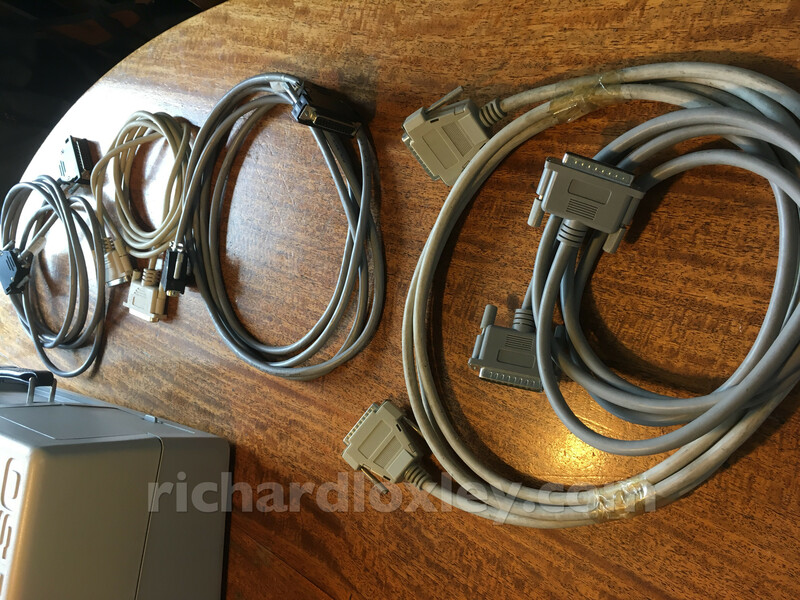 The female DB25 RS232 is what we need, so let’s see what we’ve got in the way of old serial cables. It’s not clear which are straight through and which are null-modem. 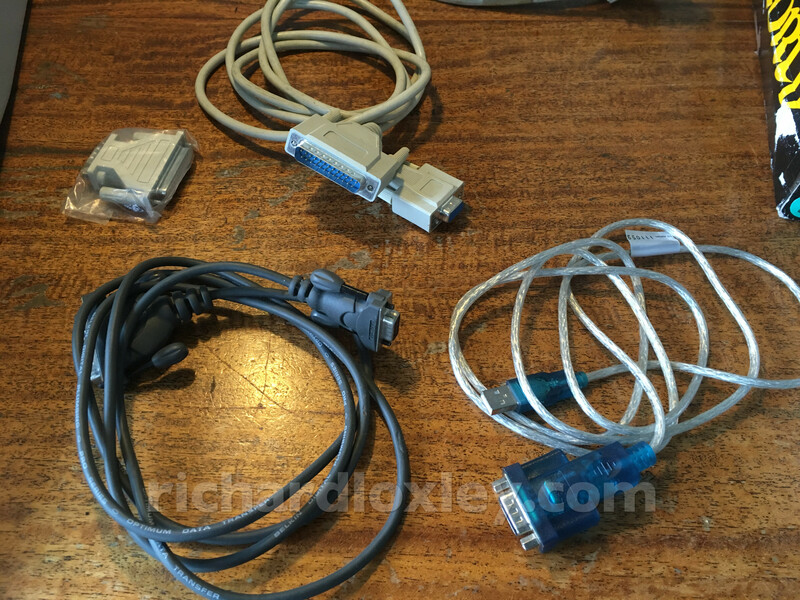 It looks like the USB to DB9-male interface and one of the DB9-female to DB25-male leads should do what I want, if it’s a straight-through cable. One of the cables had a model number on it (Belkin F2L088-06) and Google tells me that’s a modem cable, so it’s probably good for what we need. You can set the speed of the serial port on the Osborne to either 300 baud or 1200 baud using the SETUP command (or the SETUP80 command if you have the Screen-Pac installed and followed the instructions on the Extended Utilities disk to rename the updated SETUP to SETUP80). I tried at 300 and 1200 baud, I tried all the different settings in HyperTerminal (at the Windows end), and in desperation I even reversed pins 2 and 3 in my lead in case I’d got the wrong kind. Nothing. I did notice something strange. I could quit PIP at the Osborne end by typing Control-Z on the Osborne keyboard. 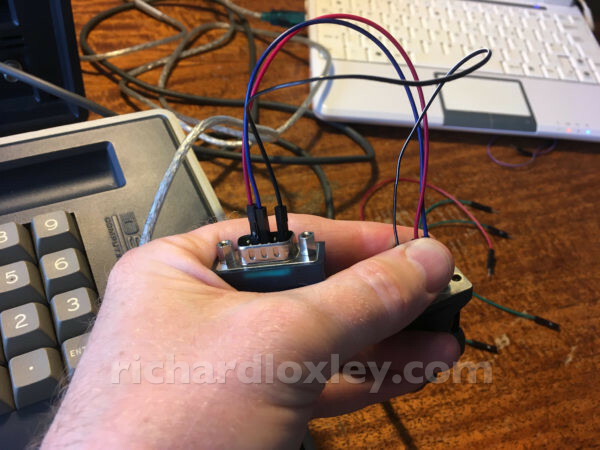 But surely PIP should be listening to the serial port for Control-Z, not the keyboard? Perhaps PIP was connecting to the keyboard not the serial port? I noticed this post says they couldn’t get RDR: to access the serial port unless they first ran the Osborne serial port diagnostics. Hmmm, is the diagnostic program ‘wiring up’ the devices differently? I did a bit of Googling about CPM devices, and found this manual page. It seems that RDR: is a virtual device, that can be assigned to a number of different physical devices. STAT VAL: will tell me what devices it can connect to, and STAT DEV: will tell me the current assignments. It seems RDR: was set to TTY: (i.e. the keyboard). 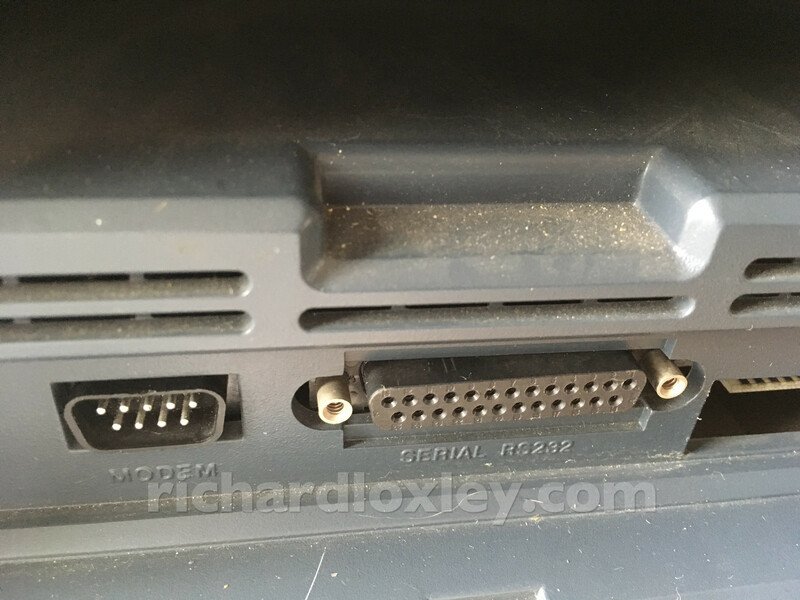 My guess is that the Osborne serial port diagnostic assigned RDR: to PTR: and left it that way, hence that being a necessary step to getting RDR: to work. But using PTR: directly allows us to bypass that step. I then played around with settings in HyperTerminal to allow me to transfer ASCII files, and managed to get a BASIC program copied over. 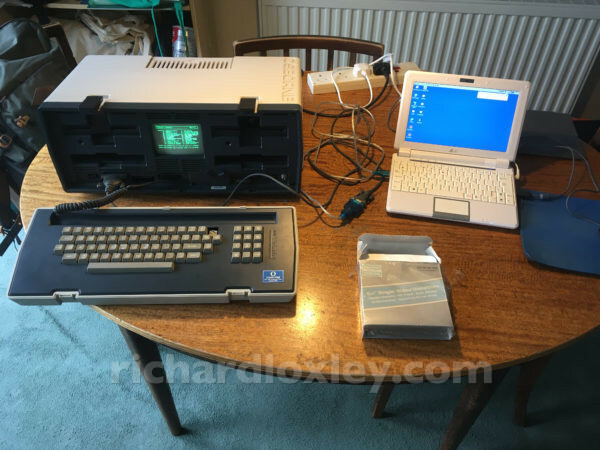 This entry was posted in Retro computing and tagged Osborne, rc201804, retro, retrochallenge on 13 April 2018 by Richard.